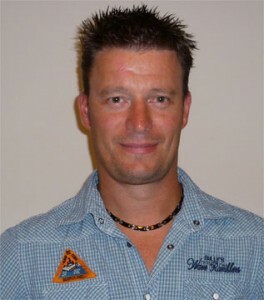 Marco van Sleeuwen is the man at the helm of MVS Grootkeukentechniek BV. Born and raised in Boekel, where his company is established as well. After working as a plumber and heating installer for ten years, he found the time had come for a new challenge: large-scale kitchen technology. He decided three years later to set up a company of his own, which resulted in the establishment of MVS Grootkeukentechniek BV in 1997. It is a successful company, although Marco was not convinced that such would be the case at the beginning of his career. “I became self-employed on April 1st, but I had no work,” Marco says. Fortunately, the orders on hand quickly expanded. He has meanwhile built a considerable clientele, both in the Netherlands and abroad. 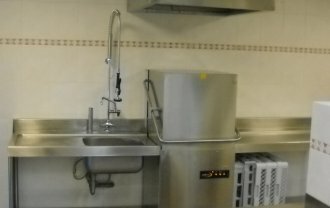 MVS Grootkeukentechniek BV has a good reputation where it concerns designing and installing industrial kitchens for river cruise ships, company canteens, restaurants, sports canteens, cafeteria’s and kitchens in which seasonal workers can prepare their own food. His first major order concerned designing the routing for a kitchen on a river cruise ship. A difficult task. The spaces on a ship are often rounded and you are restricted by the limited space, and so standard sizes will not suffice. Marco saw this as a challenge: “A very exciting assignment that required me to use all of my creative talent.” Talk of the excellent result quickly went round, which opened up new and interesting possibilities. Various shipping companies both at home and abroad have found their way to Boekel and are now regular customers. 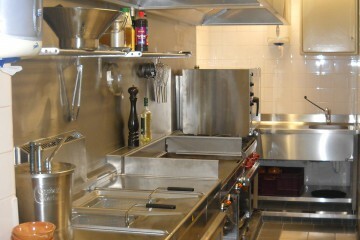 MVS Grootkeukentechniek BV has meanwhile developed into the specialist in this field. 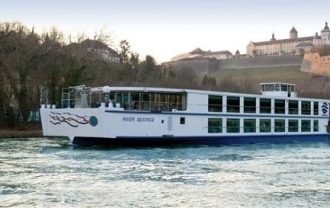 The company also sees to correcting malfunctions and conducting maintenance on river cruise ships throughout Europe. I hope to have the opportunity to meet with you again so that we can perhaps see what my company can do for you.